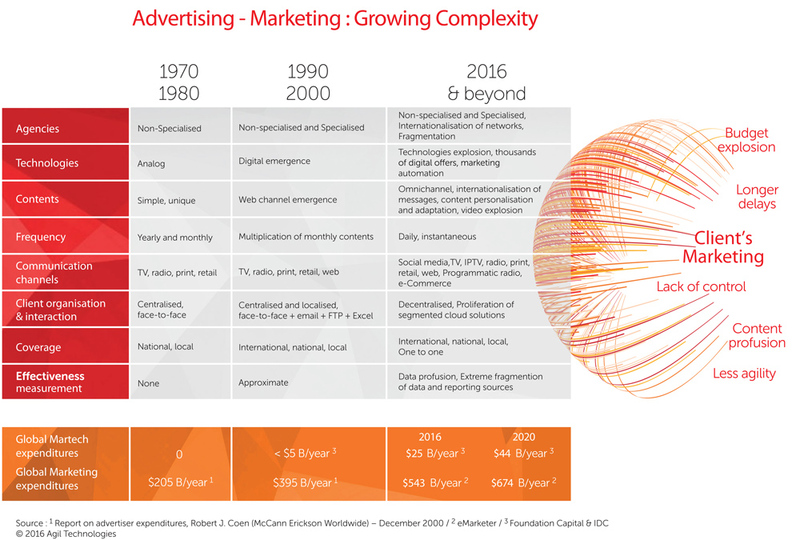 Retrospective on this marketing complexity that is constantly growing for nearly 50 years. Almost 50 years ago, operational marketing followed a single and global model. Faced with disciplined and credulous consumers and analog technologies, the contents of brands were simple, disseminated over the months and were watched on traditional media (TV, radio, press), or in points of sale. The marketing departments exchanged views on their national, or even regional, strategy with their news agency over a coffee, without really worrying about any measured effectiveness of their marketing investments. With the emergence of the digital at the beginning of the 21st century, marketing departments began to face the multiplication of content to ensure a new visibility of their brands more recurrently. Communicating beyond borders to adjust to the burgeoning World Wide Web, brands try to surround themselves with expert agencies advocating a speech based on innovation while retaining their generalist historical agency. Then began the increase of marketing investments, in particular with the first investments in the #Martech (Marketing Technology), the extension of operational deadlines, the technological need to manage new partners on increasingly complex and delocalized issues. And yet, this is only the beginning. If we were to freeze the image at the end of 2016, (a sort of #MannequinChallenge;) to observe what happens within the steering committees, there is a chance that “complexity” would be unavoidably associated to the concerns of the majority of companies; the digital transformation. Expectations are multiple, instant and labile, requiring the introduction of new and increasingly technical expertise, the integration of new channels, cloud solutions, proliferation of applications, processing of data and fragmented sources. The set of orchestration is becoming laborious for managers and marketing departments in charge to remain competitive, productive, profitable and innovative. 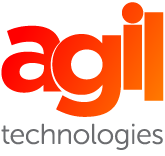 For today and tomorrow, it becomes necessary and even crucial to regain the agility necessary for companies and their agencies to commit themselves freely to what will ensure their durability.